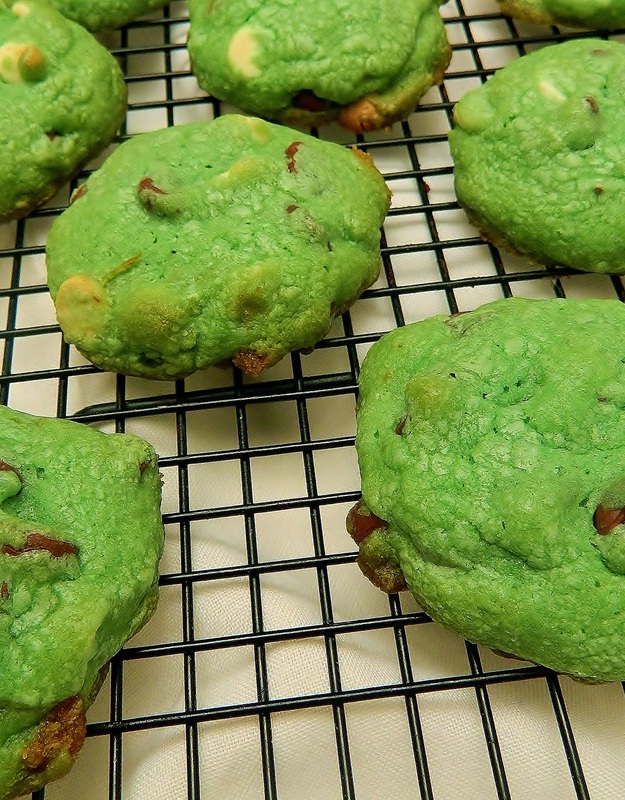 It’s St. Patrick’s Day time of year so why not color your treats green? However, you’ll need some powerful dyes to get the results you want. 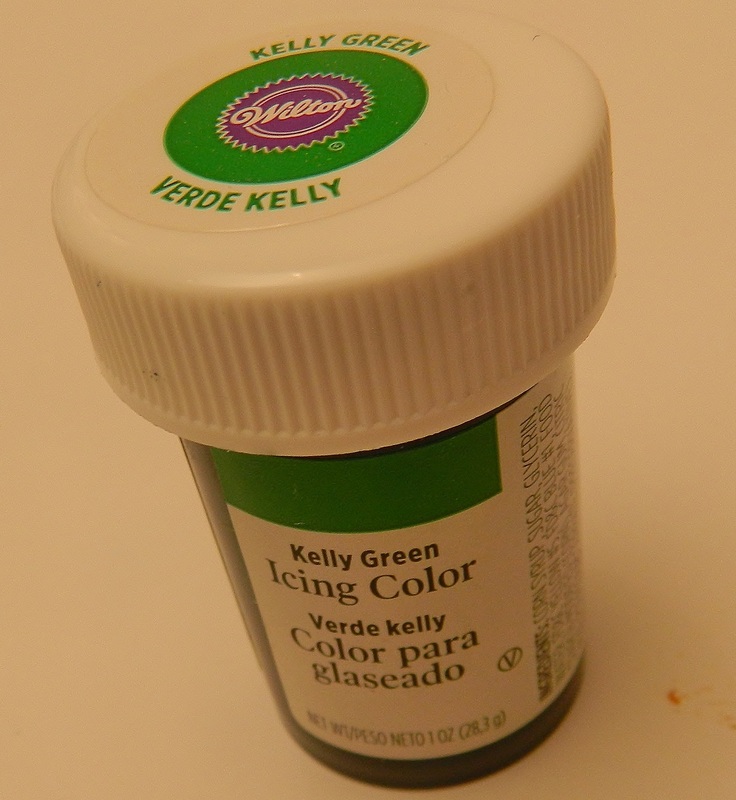 Wilton makes concentrated gel dyes that pack a true color punch with just a small dab. Check them out here. Of course, these are just fine without the Kelley Green tint! You can substitute whole wheat flour for a rich taste that’s both healthy and equally delicious. Beat butter and coconut oil on high for about 30 seconds. Add both sugars, baking soda and salt and beat on medium speed for about 3 minutes. Beat in eggs, Karo syrup and vanilla until combined. (If adding color, here’s when you do it. Add color with a toothpick until the batter gets to the desired shade.) Beat in flour gradually. Stir in chocolate chips. Drop dough on ungreased cookie sheets, parchment paper or silicone baking mats (my preference, I can’t live without them!). My husband Bill makes the pecan pie. Period. I don’t go there. Why should I when I have someone who specializes in pecan pies? He won’t give me the recipe for the blog, well, uh, because there really isn’t one. You should see him — he gets a big mixing bowl and in goes butter, plenty of eggs, light Karo syrup, a little molasses, maybe some dark Karo syrup, splash of vanilla extract, and maybe almond extract. As he says: “It depends on the guest list, any combination of the above depending on my mood, what’s in the pantry and the liquor cabinet, and what the guests might like. 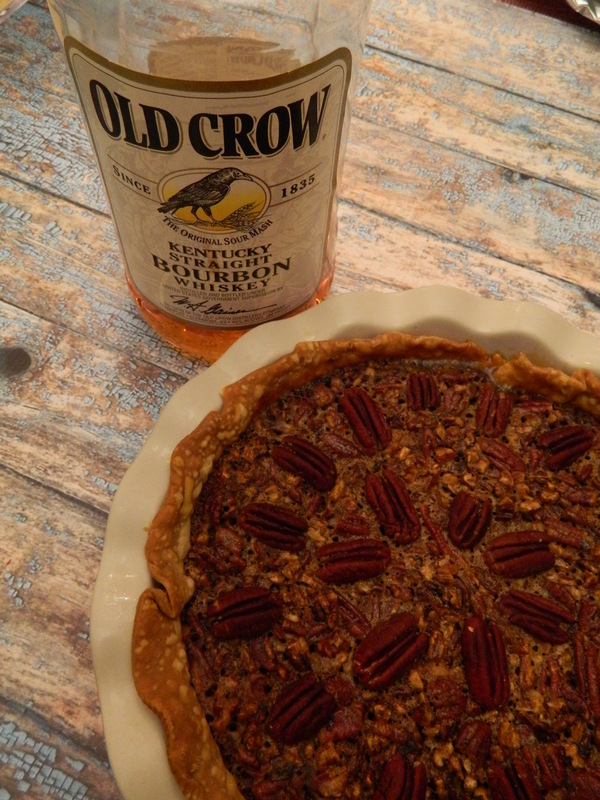 This year’s pie is a “Pecan-Bourbon Pie with a Touch of White Chocolate.” (Yes, that’s the title of the pie.) We’ve had peanut and chocolate pecan pies, pecan-chocolate, walnut-pecan, straight pecan, rum-pecan, you name it. It’s always good. You either love pecan pie or you say it’s too rich and you don’t eat it. Trust me, everyone samples Bill’s pies. Sorry folks. No recipe available. The best I can do to advise you is to read the recipe on the Karo Syrup bottle, then improvise.